At last I have a Mini! I got a 2009 R57 Convertible with only 27,000 miles on it. I'm loving it. Friends told me about a Mini club here and I'm trying to find it. Is it still active? Are there any events in and around Melbourne? Also, I read about being tagged and cards used to do that. Are they still available? How so I get some? Sorry about the questions, but I'm a newbie to Mini ownership. 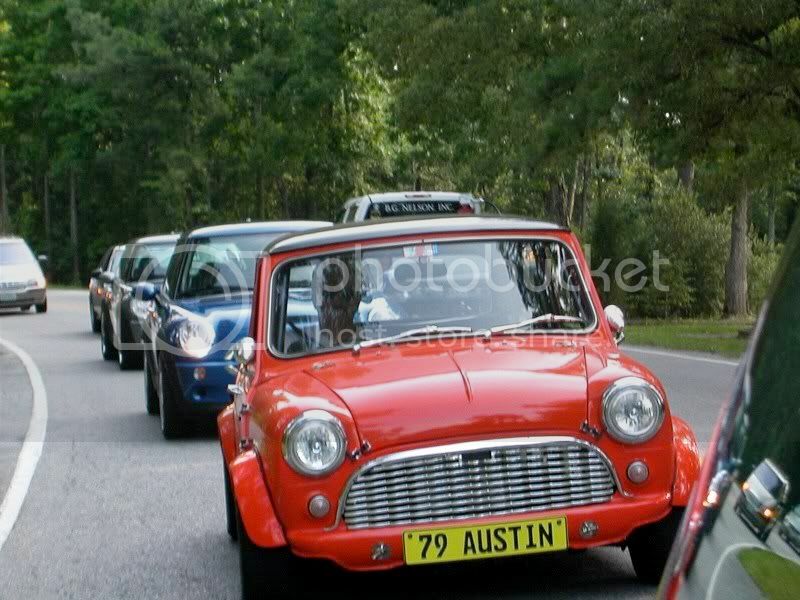 Yes there are MINIs in Brevard county. Not real active..We follow and particpate with the Orlando MINI group. Very welcoming..MOO group having a getogether THIS WEDNESDAy..Go to their page and sign up..Also the State of Florida is having their annual Picnic this month . Sign up for that on first page..Big crowd for that one..See you there. 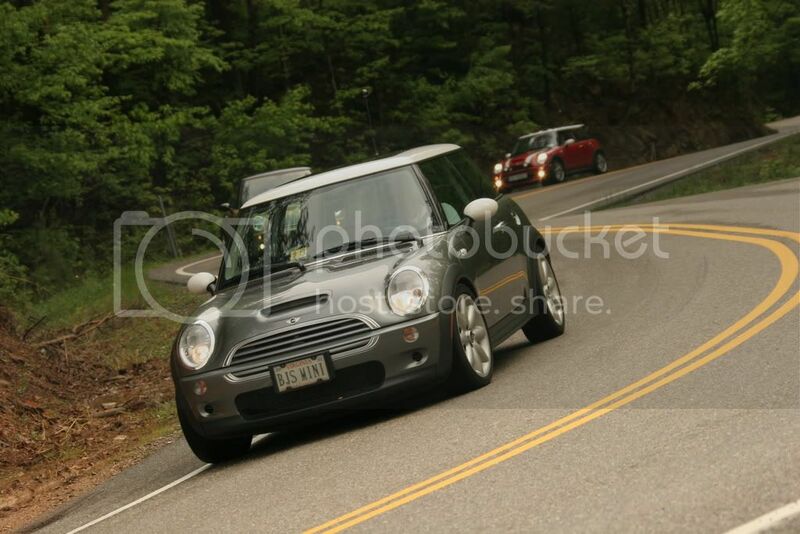 Don't forget to WAVE at other MINIs. We are there like clock work, as nobody wants to miss out on a cold beer and good conversation. I hope to see you there! It's good to hear there is something going on closer than Orlando. I'm up in the Suntree area off N. Wickham. I'll try to get to one of your meets. Awesome! I am planning on being a little early tomorrow (1/8) . Hope to see you there! I have another commitment tomorrow night, but I'll see if I can clear my calendar for another time. Let me know how many minis show up! 2. Cards: see this thread in the 'business' section and you can print your own. Or PM me and I can give you a Word document - easy to modify. I print SSM stuff on one side and my info and some other useful links on the other. Good at car shows. 3. I'm very near you (Grand Haven) and owned from 2002 until very recently (still have my Mini). Did own own work often times, basic maintenance especially, and brakes and stuff; still do work for some folks around. In my garage ... free, you buy lunch while we turn wrenches. If you plan to do your own work I can give you an hour or so and warn you of some MINI peculiarities and pitfalls . . . just PM if interested. I'm retired can do this most anytime. Welcome .... see ya around town. p.s. If you only participate in one event this year, this is the one to plan for. Join us for our 30th anniversary All British Car Show! I was able to print the cards and put my info on the backs. I'll keep them handy in my Mini. I forgot to tell you I am in San Marino Estates off N Pinehurst Ave. Welcome to Sunshine MINIs. We occasionally have meets up in Daytona Beach or New Smyrna Beach. 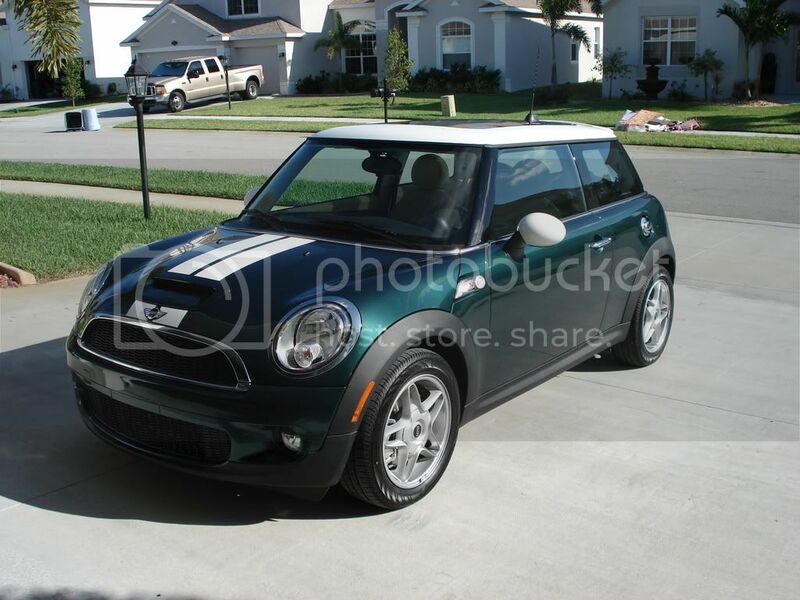 Speaking of Daytona ..... are there any plans / thoughts about a bunch of us MINIs going to the race later this month? Well, you're new to the scene so I won't You've got a lot to learn. They're still made in Oxford, England. THEY ARE BRITISH!! Especially the 1st generation, like yours, as it was being designed by the English as the Germans took over. The 2nd gen is pretty close, while the 3rd gen may as well be german, but will still be built in England. The Countryman and Paceman are built in Austria. I was in London in summer of 1998 for a few days and my friend and I were hanging out with 3 locals and I don't konw how, but the conversation turned to England selling out. One guy went on and on about British companies that were sold to foreigners. He kept referring to the Germans as Krauts At one point, he said "they even bought ROLO. ROLO! The staple of British Confectionery!" I'll never forget that line. We had a good time. ~ PLUS, take it from me, he is / and has been for many years a TREMENDOUS resource for all sorts of maintenance help and many mod installs with my 04 S.
We've become good friends ~ and he is a very reasonably priced lunch date! Welcome to the world of MINIs! Just got back from having some work done on the Mini. Robert at British Performance on Rt 1 in Melbourne did the work. I was getting a lot of road noise from the rear of the car and it proved to be coming from worn tires and bad camber. British Performance put in new adjustable rear link arms and new tires. It's a lot quieter now! I found him right after I'd had my thermostat replaced on my 07 by Brit' Perf' (didn't want to do it myself .. bleeding the system can be a PITA). I asked him for a price ... told him I needed it done - not that I'd just had it done. His price was $50 less . . . less markup on the part and less for labor. His place is set back from Wic' so few know it is hidden back there - well, the BMW folks know he's back there .... his garage is always full when I stop by . . . he does BMW and MINI primarily. A little competition never hurts . . .
South Brevard has a small group that get together the 1st Sunday of each month at 4:00 P.M. at the Broken Barrel in Palm Bay. We also informally do "Pint Night" on Wednesday night at 6:30 P.M. You are more than welcome to join us. The only event being discussed is a trip to Lion Country Safari in Palm Beach in the near future. We would love for you to join us. Hi all! I'm a new MINI owner here in Brevard (actually in Melbourne). I was really pleased to find this web site and discover that there was a MINI group here on the Space Coast. My wife and I went to Broken Barrel last night expecting (hoping?) to find some MINIs in the parking lot, but alas, no one was around. Is the group still meeting there on Wednesday's? We didn't try last Sunday, figuring that with it being the Super Bowl there likely wouldn't be many folks around. Needless to say, we were disappointed, but are still very interested in meeting up with other MINI lovers in the Brevard county area. Please advise if these get togethers will continue? Hopefully last night was just a fluke. Oh no!!! We were there! The rain had all of the cars scattered. I'm guessing you may have been driving the red Clubman that was parked by the BK. I saw it, but wasn't expecting anyone. We will be looking for you next time! We should be fairly easy to find on Wednesdays. When you go in the restaurant tables are to the left. We sit along the left wall under a wood surfboard. Feel free to drop by and say hi!